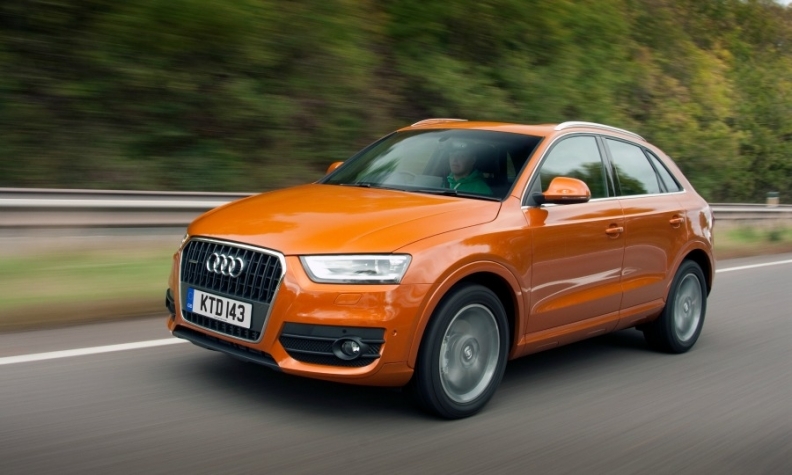 The Audi Q3 was Europe's top-selling premium compact SUV last year. Sales of the crossover increased by 7% to 82,040. Sales of premium compact SUVs and crossovers are expected to rebound this year, after falling 5 percent last year, and double by 2020 as automakers such as Volvo and Infiniti join the segment, analysts at IHS Automotive forecast. Demand for the entry-level premium models fell 5 percent to 238,880 in 2015, according to figures from market analysts JATO Dynamics. 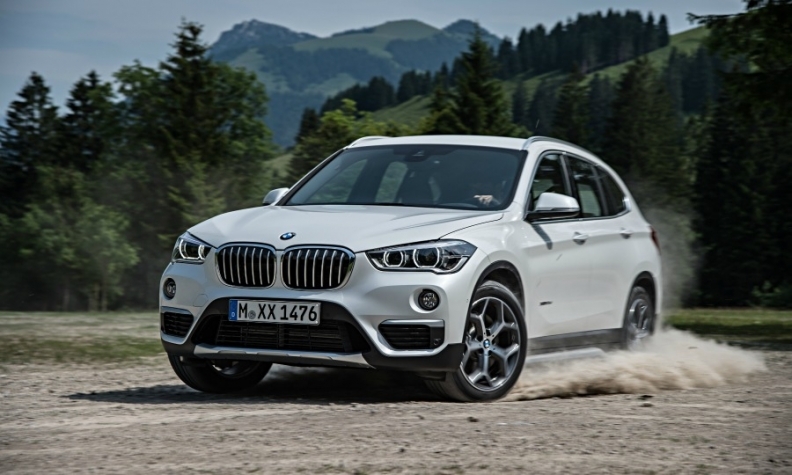 The main reason for the decline was the changeover to the second-generation BMW X1. Sales of the X1 dropped 35 percent as the first-generation model was replaced last autumn. The roomier successor, which uses BMW's new front-wheel-drive platform, will move back into second place behind the segment-leading Audi Q3 and just ahead of the Mercedes-Benz GLA, IHS believes. The X1 fell to fourth in the segment last year from second in 2014, JATO's figures show. Sales of the BMW X1 fell 35% in 2015 as the automaker transitioned to selling the second-generation of its smallest crossover last autumn. The three German automakers face strong competition in the segment from Land Rover's Range Rover Evoque. Sales of the Evoque grew 1.2 percent to 51,566, resulting in a third-place finish. This impressive achievement against formidable opponents will only be temporary, IHS forecasts. The analysts predict Jaguar Land Rover's best-seller will fall out of the top three but remain within 10,000 sales of the third-ranked GLA. 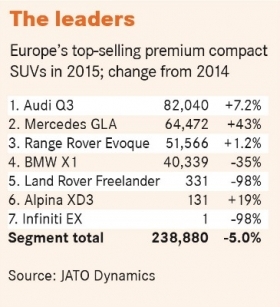 Germany is the biggest market for premium compact SUVs. Customers there bought 63,583 units last year, according to figures from JATO Dynamics. Premium-loving buyers in the UK made that market No. 2 with a volume of 51, 208. Italy ranked third last year as sales increased by 5 perecent to a little more than 30,000. Individual figures reveal home-country loyalties, with BMW, Audi and mercedes-Benz all selling best in Germany. The Range Rover Evoque meanwhile sold best in the UK, but Italian customers bought more of the British car than the German models. Last year these four models dominated the segment, which is about to get more competitive because of the arrival of new models. Nissan premium brand Infiniti is preparing to join the segment with the QX30, a re-bodied version of Mercedes' GLA that the Japanese automaker hopes will reach a volume of 15,000 a year in Europe. Stiffer competition for the Germans and the Evoque will come from the forthcoming compact SUV from Volvo, which is expected to be called the XC40 and is due to debut in Europe in 2018, sources told Automotive News Europe. The compact SUV will be the first to use Volvo's new compact modular architecture (CMA) when production starts at its factory in Ghent, Belgium, the source said. IHS predicts the Volvo crossover will be popular in Europe, outselling the GLA in its first full year of availability with a forecast volume of 53,000. IHS also expects JLR to expand its crossover lineup by adding what media reports call the Jaguar E-Pace, a compact SUV that would slot below the midsize F-Pace, which launches this year. Jaguar is forecast to sell about 25,000 units of the compact SUV annually, according to IHS estimates. German automakers also will expand their presence in the sector, starting with the Audi Q2 that debuted at last month's Geneva auto show. Slotted just under the successful Q3, the new crossover's "attitude" is expected to appeal to younger buyers, Audi CEO Rupert Stadler said when introducing the Q2 at Geneva. The Q2 is forecast to steal sales from less-premium competitors such as the Mini Countryman and Jeep Renegade, Felipe Munoz, global automotive analyst at JATO, told Automotive News Europe in an email. IHS predicts that Audi will sell almost 60,000 Q2s in Europe next year. BMW is expected to launch a Q2 competitor. German magazine Autobild has reported that BMW will start selling the rival, dubbed the 1-series Sport Cross, in 2018. IHS sees the BMW as a niche model that will account for about 30,000 a year. The German automaker is also considering adding a coupe-styled compact crossover that is likely to be called the X2. 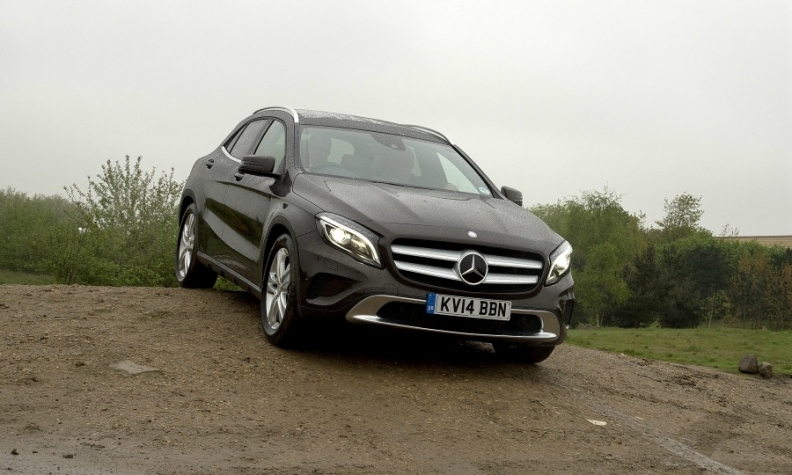 The Mercedes GLA rose to No. 2 from No. 4 in the premium compact SUV segment in 2015, which was its first full year of sales. The overall popularity of Europe's compact SUV segment has encouraged volume manufacturers to chase a more premium customer. At the Geneva show Nissan showed high-end concept versions of its Qashqai and X-Trail. The automaker said the models hinted at possible upmarket versions of its SUVs. Nissan Europe Chairman Paul Willcox told Automotive News Europe the concepts were driven by customer trends. "We've been amazed how rich a mix Qashqai sales have been. About half are high-grade," he said. Ford is another mainstream brand that is responding to the popularity of offering customers a more premium option. At the Geneva show Ford unveiled a concept previewing a future Kuga compact SUV with its top-level Vignale trim line. Customers are starting to see these high-end versions of volume models as a genuine alternative. Daniel Houlker, an IT director from Manchester, northern England, recently switched out of an Audi Q3 into a cheaper but higher spec Kuga Titanium X after finding much of the quality on par and the handling better. "In two years' time when it's due to go back, we would put the Kuga at the top of the list," he told Automotive News Europe. He also could be lured to a Vignale version. "If they can put a nice engine in it and a decent automatic gearbox then we would definitely consider it," he said. For the majority of customers, however, the badge will win out. "A Kuga will always be a Ford no matter how good it is or how much they dress it up," said Tim Urquhart, principal analyst for IHS Automotive. "The same goes for any [high-end version] that Renault might do with the Kadjar or [a similar attempt by] another wannabe upwardly mobile midmarket company. A compact premium SUV is a lifestyle accessory and for that brand is important."